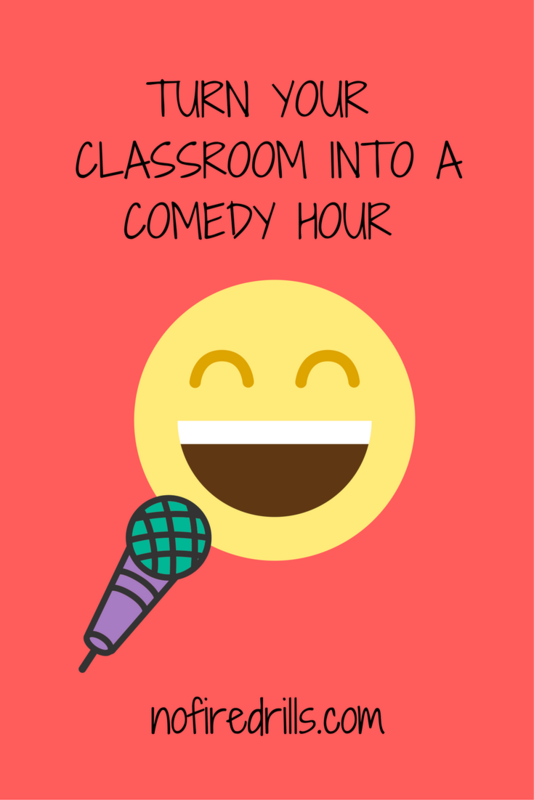 A Classroom Comedy Hour - Be your best teacher! Ok, my comedy skills are not that amazing… But the end of the year tends to be an incredibly stressful time for my students. Between prepping for those end of year standardized exams and them looking for summer internships the tension is heightened. By June, I like to liven my classroom up by hosting a classroom comedy hour. Each student gets three minutes to be a stand up comedian to review the material we discussed in class in preparation for any type of upcoming assessment. First we watch a few clips of kid comedians and discuss what worked with the sketch. I give students a list of historical figures and ask them to work with a partner to prepare a memorable (PG version) stand-up script. Students figure out memorable facts to remember their historical figure and then work with a partner create jokes and a sketch. It’s a great day for all.